I'd love to be included…my blog is a little bit of crafting, cooking, and yabbering! I'd love to be included as well. I started my blog to write about my adventures as a parent of two kids, one on the Autism spectrum and have recently started adding creative ideas and fun stories. I'll be posting the weighted blanket idea soon. Ooooh – I would love to be included!! Cooking. Sewing. Crafting. And All Things Domestic. I would love to be on your list, my blog is new and about the organic, crunchy side of life(crafting, organic gardening, organic cooking, alternative medicine, breastfeeding and cloth diapering, making your own bath products, homeschooling, and my adventures with kids who are very food sensitive) I know exactly how you feel, it took me three tries to make my blog into a 3 column and my header still needs some major work. I love your header, its awesome!! I still need to find the time to move all of my favorite blogs and buttons from my other blog, so much to do, so little time. I would love to be included as well. (thanks to the others who left their sites I actually have the courage to do this!). My blog is a place for me to showcase my crafty creations and others that I want to recreate. I like your new header Char. I love your blog and would love to be included in your list. My blog is mostly about crafty stuff – with a little bit of life thrown in. 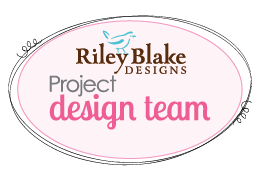 My other blog….I did the tie onesies and matching necklace one for my friend's quadruplets! hey, if/when you figure out HTML stuff, will you help me? When I update the look of my blog, it takes me DAYS to get it right! I love that pic! I'm sure it is one you will cherish. I would love to be included on your blog roll. I'd love to be included! My blog is all about recycled wool (aka: wool sweaters)… tutorials, crafts, and features of great recycled wool artisans & crafters. What a cute picture! I would be honored to be on your list as well! http://www.landofthemisfittoyz.blogspot.com I am a new follower and am loving your blog! I would love to be included! & I am totally in your boat…I don't understand html at ALL lol! I am crafts,cooking, reviews on books and movies and tutorials for free photo software so people can make their pictures better! Also, both my husband and I are web designers if you need help, I will see what I can do. I would love to be included… by blog is a little bit of everything! Have fun looking and sharing!! LOVE LOVE LOVE your blog! Big follower! Thanks! There's a ton of us who want to be included – me too! Love the new header! and I would love to be included too! I would love to be on your blog roll. I run the contest So You Think You're Crafty. I bet your readers would love it. I write about my… well, almost everything except the really personal stuff… you know. I'd love to be included on your blog list! Mine is mostly scrapbooking with a little of this and a little of that thrown in. I would love to be on your list!! If you have room for one more, I'd love to be included! My blog is baking, sewing, crafts, a little decorating and my running! You know I want in the cool club!!! I'd love to be included in you blog roll as well! Since I've been in your kitchen I think I should be included in that list… you've never been in my kitchen… I need to plan something soon. I really enjoy your blog–I'm a lurker, I'm afraid!–and I'd love to be included on your list. and is a collection of all things crafty. Would love to be included as well. Hope you like my blog about family life and my attempts at crafting. Hey Char – I would love to be included. Being on your blogroll would be best thing to happen to me ALL DAY! Being stuck inside a small hotel room in Russia in 4 degree weather is NOT fun Thanks! I'd love to be included! I just put your button on my page. Things are a little chaotic, as I just had my first baby, but I'm currently dealing with a roof leak, which could prove interesting. I'd love to be included! I love your blog! Great ideas! Thanks for the offer. I'd love to be included. I have a very new blog about sewing and quilting. I'll be adding a bunch of new content over the next few weeks. I am just starting out, but what the heck! And I am going to grab your button…it is hilarious! Hey I would love to be added if you are putting the offer out there. You have a great following and I would love to have even a small piece of that. It would be so fun to be included on your list! I love your new button! I love the new header! Where did you learn to do that??! I think I have messed up my blog attempting to fix it up some. Love your blog! I came when I saw the blog name & I stayed when I saw your aqua piano. I'd love to be added to your list as well! I LOVE your new button! It's great! How do you get the scrolling buttons, I would love to do that with mine. Also I'd love to be included in your list. I've had a cake blog for year, but just recently started my craft blog, recently like this month! I very recently started a craft blog because my husband is getting deployed to Iraq and I found that I have a lot more time on my hands with him preparing to leave. And I know I'll have a ton of time to do all sorts of projects while he's gone. Plus it'll keep me busy and sane while he's away. So there's not much on there right now, but I plan crafting a bunch of crap soon. I would love to be included, crafiting and sharing ideas are a great way to burn some creative steam. I would love to be included!!! If it's not too late, I'd like to be added too!! My blog is about every day life as a stay at home mom…..with recipes, crafts, and photography thrown in as well! Yeah, I'm currently in that HTML Headache thing myself. I decided I just need a different college degree. My personal journey blog….the ins and outs of weightloss and my walk with God. I would love to be included!! My blog is about my crazy kid and sweet hubby, but I am an avid crafter and post my favorite projects too! Hi I'm Cassandra and would love to be included. I'm still getting the hang of the blog thing… it's mostly crafts and might throw in other stuff. http://www.virtueminehonor.blogspot.com thanks!! !